Donald Trump engaged in his first military strike of his presidency and it was a disaster. The attack involved a botched landing, firefight with combatants, and the killing of dozens of people, including the family of dead American-born terrorist Anwar Al-Awlaki, also Americans. 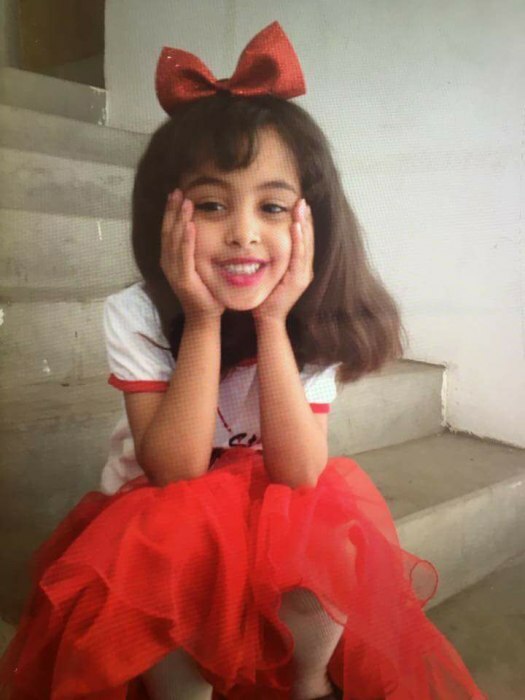 Al-Awlaki's 8-year-old daughter, Nawar Al-Awlaki, was among the dead. What makes this little-reported story more interesting, and perhaps a lot more scary, is a comment Trump made on the campaign trail back in 2015 in which he seemingly endorsed the murder of the family of terrorists as a method of combating terrorism. Just consider this - Trump pushed through a backdoor ban on Muslims, detained legal residents and denied them constitutional rights, and then defied federal court orders, even when Democratic congressional leaders descended upon airports to confront Customs and Border Patrol agents. He established a commission to purposefully violate one religious group while under the pretense of national security and when chaos ensued, his administration gave conflicting responses and insisted their ban was not a ban, playing a dangerous game of semantics. And while all this is playing out only a handful of news publications trickled out stories of a failed military action (Trump's first action as president), and in those reports was the absence of Trump's campaign comments regarding the retribution against terrorists by targeting their families. They did however include false equivalencies with similar results from military actions under the previous administration. Trump also declared a restructuring of the National Security Council placing his chief of staff and chief strategist while removing key intelligence and military personnel during this chaotic series of events, blindsiding congressional leaders and even members of his own cabinet. Based on past and recent comments and actions by this administration, would you put it past Trump to utilize the might of the American military to fulfill his anti-terrorism fantasies? While the mainstream media still hasn't really caught onto this story, some reports are starting to trickle out discussing this failed operation. Right-wing media is praising Trump for his reaction to the deceased and response to the family, pointing the finger at the Obama administration for creating this plan (that Obama never implemented for tactical reasons and that Trump decided to greenlight). The rest of the real news agencies decided to explore this matter further and have had some military sources leak out information that Trump approved this operation without proper intelligence or preparation (hence why Obama did not go through with the operation and why U.S. Navy SEAL William "Ryan" Owens was still alive). One of the three U.S. officials said on-the-ground surveillance of the compound was “minimal, at best.” “The decision was made ... to leave it to the incoming administration, partly in the hope that more and better intelligence could be collected,” that official said. Generals Mattis and Dunford pitched the idea to Trump, his son-in-law, and his political strategist over dinner one night and Trump agreed, without consulting military or intelligence. A "pro-forma and irrelevant" inter-agency meeting was held after the fact to discuss the Trump-approved plan. Spicer laid out the series of events leading up to the raid insisting it was thoroughly vetted, by both administrations, and that they decided to pursue this action because it was a "moonless night," but Slate's Fred Kaplan reported that the operations were also held off because of a change in policy that will change the structure of operations and how they are carried out. Military officials briefed President Obama on the policy proposal, which would give lower-level officers broad latitude to carry out such attacks without going through the sluggish process of seeking authority from higher-ups. Since this would mean a significant escalation of America’s military involvement in Yemen, Obama deferred the issue to his successor, according to a former White House official. These conflicting reports make you wonder if Spicer is only delivering his set of "alternate facts" or if that was the honest timeline. Either way, it appears the Trump administration decided to go ahead with the operation because they believed there was enough proper vetting and that the previous Defense secretary signed off on the operation, but this sounds more like an excuse than anything else. While having the blessing of his inner circle, Trump's actions resulted in the death of a serviceman and all his team can do is say that it isn't his fault and he was just going off the actions of the previous administration - an administration that he had repeatedly attacked for its military strategy. Kind of scary that this is a plausible possibility.